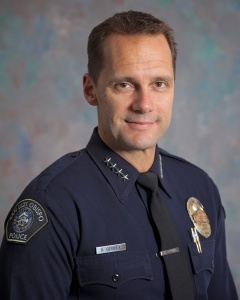 San Luis Obispo Police Chief Steve Gesell attended 13 conferences during 2014. Expense records show that some of the conferences turned into family trips and the city footed the bill. A two-month investigation by CalCoastNews has uncovered multiple violations of city policy and what appears to be abuses of taxpayer money. In one instance, Gesell took his wife and daughter to a convention in Orlando, disguised that fact on his travel and meal reimbursement requests, and was repaid with city taxpayer funds. City policy does not permit city employees to charge taxpayers for a spouse’s travel and meals. Gesell, who recently started his third year as the city’s top cop, has not responded to requests for comment. As the CalCoastNews investigation began to wrap up, rumors began about whether Gesell was still in his $157,508 position. SLO Police Lt. Bill Proll said Tuesday he has been instructed not to answer CalCoastNews reporters’ questions, and was not permitted to say if Gesell was still the city’s police chief. A public records probe into Gesell’s travel expenses during last calendar year revealed multiple apparent violations of city policy and misuse of public funds. Gesell, like other department heads, approves his own expenses; the city’s financial expense policy does not include oversight of these individuals. The Finance Department’s Barbara Hage processes reimbursement payments, but she does not review the claims, according to City Clerk Anthony Mejia. U.S Airways confirmed Gesell purchased a “special” where one higher-priced, base-rate ticket would allow two others to fly for $46 each, plus tax. Gesell also demonstrated a taste for upscale hotel accommodations. Of 19 hotels offering special rates to chiefs attending the IACP convention, Gesell chose one of the most expensive, the Rosen Center Hotel. The event’s host provided a list of discount room rates from $75 to $205. Gesell elected to spend $225 to stay in a VIP room, his own receipt shows. But city rules call for officials to stay in less expensive lodging. “In general, you should stay at the most reasonably priced accommodations available consistent with the purpose and goals of your travel,” city policy says. Travel during the event was provided at no charge by event sponsors. 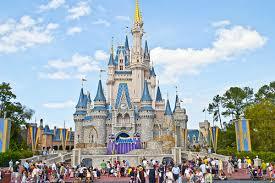 Nevertheless, Gesell’s wife rented a car in Orlando. The city then reimbursed the chief over $400 for the rental car and parking. City policy also limits reimbursable meal purchases to city employees only. The city authorizes $10 for breakfast, $15 for lunch and $35 for dinner. Gesell regularly requested amounts exceeding the per diem limit, and the city reimbursed him for two to three entrees in a single meal. The city Financial Management Manual requires employees to eat in moderately priced restaurants when planning to charge the city for their meal. Gesell got the city to pay $39 for an Oct 26 lunch at Mei Asian Chinese Buffet. The lunch buffet at Mei Asian Chinese Buffet costs $8.50 per adult. The reimbursement paperwork appears to show that the bill was charged on one of the Gesell’s personal credit cards at 2:19 p.m. The conference was in progress when the chief’s lunch bill was being paid. The city paid $3,322 for Gesell to attend the conference. As an additional perk, the conference included an evening at Universal’s Islands of Adventure theme park for the chiefs and their families. Though required to provide itemized receipts, Gesell often substitutes his personal and city credit card slips. In some cases, the chief claimed to have lost records, providing no receipts while asking for reimbursement. Though the Orlando event lasted only four days, Gesell spent eight days in Florida. On Oct. 29, the day after the event ended, Gesell and his family drove to the Everglades, a three hour drive from Orlando. In the evening, Gesell purchased two meals at Quinn’s on the Beach for $58.83, and then billed taxpayers, city records show. Gesell attended another training event in February, this time sponsored by the California Police Chiefs’ Association. Gesell and SLO Police Capt. Chris Staley split expenses paid for with city credit cards. Although the conference had an association board meeting on Sunday, Oct. 23, and did not officially begin until Monday, Gesell checked into the Monterey Portola Inn and Spa the Friday before. Gesell charged the city $46.34 for breakfast on Sunday, Oct. 23. During his stay at the hotel and spa, Gesell regularly exceeded the permitted per diem rate with purchases that included items from the children’s menu. Staley did not arrive until Oct.21, gas purchase records from an Atascadero service station show. Councilwoman Carlyn Christianson, told about the apparent problems with Gesell’s travel reimbursements, declined to look into the matter. She told CalCoastNews that she “has a full time job” and has “no interest” in reviewing Gesell’s records and violations of policy. Gesell and San Luis Obispo City Manager Katie Lichtig did not return requests for comment before this article posted. Get links to investigative news stories, like CalCoastNews on Facebook. I haven’t read all the comments but no one seems to question the need for ANY of the 13 trips the chief has taken in a year…He should save us some money and read the book and stay home. He gets plenty of time off in a year and makes more money and receives more benefits than most of the population of SLO county so stay home and earn it. 13 trips means to me that he has probably missed 6 or more weeks from work with travel time and all. That BS line about what he will have to offer the city after attending this convention must have taken at least 3 or 4 minutes to concoct. No oversight??? Unbelievable.